César taught us that all organizations have problems, that all organizations are imperfect. But, if you wait for the perfect organization, nothing gets done. Building popular organizations builds people's power, and democracy. In creating the UFW Chavez organized thousands into a union and inspired millions. Children in school study his life. Many curriculum packages stress his emphasis on service to others. The service side of Cesar’s work was certainly inspiring. The organizing side changed the Southwest and organized labor. In a 1988 campaign and fast Cesar focused attention on the many dangerous problems of pesticides used in the fields. Artists have captured his image in hundreds of ways. Schools, parks, and highways have been named for him. Establishing Cesar Chavez holiday in California and other states has increased knowledge of his contributions. The movement led by Cesar created a union and reduced the oppression of farm workers. Many people, descendents of earlier generations of farm workers, learned to take a stand for justice. We learned to not accept poor jobs, poor pay, unsafe working conditions as natural or inevitable. Rather, these are social creations which can be changed through organizing for economic and political power. 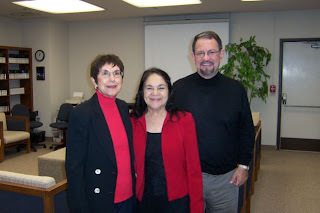 Dolores Huerta continues her important education and organizing work throughout the nation. Now, thousands of new immigrants harvest the crops and only a small percent are in unions. The new generations of immigrants and migrant labor hardly know Chavez’ name nor his contributions. Yet, in other regions immigrants are being organized into unions such as Justice for Janitors, by activists who learned their organizing skills working with the UFW. And, Latino political leaders often made their first commitments on a UFW picket line. Again, that generation is passing. A new generation of political activists, mostly within the Democratic Party, have emerged since the Chavez generations. (Hispanic Republicans seldom see Chavez as a hero figure). In the 2006 massive immigrant rights movements, several new organizing practices emerged. A new, significant Latino union and political base has been created. Just as black anger often proved counterproductive, so have these white resentments distracted attention from the real culprits of the middle class squeeze – a corporate culture rife with inside dealing, questionable accounting practices, and short-term greed; a Washington dominated by lobbyists and special interests; economic policies that favor the few over the many. The above quotation from his speech was NOT INCLUDED in the excerpts from his speech printed in the hard copy of the paper today. This is a significant omission, and a revealing one. It is okay to talk about race and racism as long as we don't link it to the economic structure of this country. Liberals (and the NY TIMES is nothing if not the bastion of liberalism) don't want to reveal or acknowledge the connection between economics and all the other strata (politics, religions, race, gender, etc) within which we move. Obama is wrong to assert that all americans share the same dream and that we can pursue our dreams not at the expense of other's dreams. Not so. Many people dream of a decent home, a safe and nurturing community, health care as a civil right, and a job that pays a living wage (such a dream if pursued collectively not a zero sum game). Others, however, dream of getting rich. And there's the rub. It is this latter dream that comes at the expense of the former dream. If there is going to be an honest and open debate about race in this country (as Obama has just challenged us to have), it will have to include how our economic system depends on divide and conquer methods (race is one of those). Clearly, Obama thinks it should. It is up to the rank and file to create grassroots movements to put pressure on other power brokers to do the same. Obama is right to be hopeful, our system is extremely responsive to grassroots, popular pressure. Obama can inspire, create a rhetorical placeholder, but it is up to us, the people, to come together. And that takes a lot of tedious work as well as rewarding relationships. "A More Perfect Union" speech in Philadelphia. He spoke again about the unfulfilled promise of Brown v. Board of Education and the intensifying inequality in our schools and the need for a multiethnic coalition involving immigrants and everyone to come together to meet the challenges of our time. But he caught me off guard when talking about Rev. Wright. He resisted the tremendous political pressures to disassociate himself from his pastor and the African American community. He did this through an incredibly brilliant framing of his 'progressive' values through the telling of human stories which were connected to our nation's founding in Philly and our future with the story of young white campaign volunteer Ashley Baia. He managed to embrace both Rev. Wright and Obama's own white grandmother who he said had expressed prejudice and discriminatory attitudes at times that made him cringe. "These people are a part of me. And they are a part of America, this country that I love." "I believe deeply that we cannot solve the challenges of our time unless we solve them together – unless we perfect our union by understanding that we may have different stories, but we hold common hopes; that we may not look the same and we may not have come from the same place, but we all want to move in the same direction – towards a better future for of children and our grandchildren." progressive voice is only one among many, it will be drowned out. Progressives need to figure out where they can make a difference in the larger campaign as well as explain to their respective constituencies why they are taking the step of supporting Obama; what to expect and what not to expect from the candidate; and what can be done now. encouraged to build organizations in their communities and social movements that reflect progressive politics. Such organizations should be grassroots based and, among other things, aim to identify, train and run progressives for local elected office. Holding a President of the USA accountable - be it Obama, Clinton, McCain or Huckabee - will necessitate organization at the base, organizations capable of both putting people into the streets as well as getting them to the polls. candidate is a recipe for disaster. We must expect that there will be immense tugs to the Right on any elected official. If progressives are not prepared to push back and keep Obama’s feet to the fire then every reservation that many of us have about his candidacy will become a self-fulfilling prophecy. More on Obama's Historic Challenge - from Martin Luther King to Malcolm X - from John Delloro's Burning Cane Blog, a grassroots organizing perspective on social movements and issues of race, class, gender and citizenship. 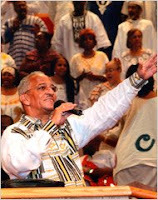 Millions of Barack Obama’s supporters are asking, “What does he do now?” Everyone following the Presidential campaign has heard sound bites of his pastor Jeremiah Wright condemning American racism and imperialism in the harshest tone possible. In response, Obama has once again been forced to distance himself from a close associate, but this time he has had to do so more forcefully and urgently. The first thing we need to do is to put this development into context. On the surface level, it is a critical moment in a bitterly contested campaign that has devolved into a back-and-forth match of denouncing and rejecting surrogates. But on a deeper level, it is a reflection of how Obama’s success has forced him to rise to bigger and bigger challenges. And for this reason, a moment like this was sadly inevitable, for there is no Obama path to the Presidency that does not require him to rise above charges that he is unpatriotic or that he is a Black extremist. Such is the inescapable reality of running for President as a progressive African American whose formative experiences came as an inner-city community organizer on the South Side of Chicago. When confronting a moment of crisis, great leaders are those who can see through the fog of conflict and contradiction to envision a concrete path forward for the nation. What must also be understood is that great leaders do so not as individuals; they do so with the encouragement, involvement, and constructive criticism of millions of supporters. This is why there is a need not only for Obama and his aides to do some serious strategizing. Anyone invested in the short-term and long-term success of his campaign must do some soul searching and some deep thinking about the past, present, and future of America. To challenge Obama and his supporters in this way, regardless of whether it is fair to do so, is to provoke an unprecedented debate that escalates the stakes beyond any election in recent memory. In order for his campaign to move beyond this crisis, he must do far more than prove that he does not stand for inflammatory rhetoric. Obama must redefine the meaning of love for America. “If you’re black, it’s hard to say what you truly think and not upset white people,” said James Cone, a professor at Union Theological Seminary and the father of black liberation theology, who has known Mr. Wright since he was a seminary student.